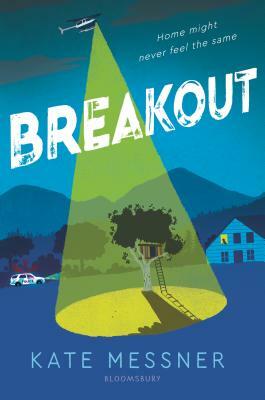 Told in letters, poems, text messages, news stories, and comics--a series of documents Nora collects for the Wolf Creek Community Time Capsule Project--Breakout is a thrilling story that will leave readers thinking about who’s really welcome in the places we call home. Nora Tucker is looking forward to summer vacation in Wolf Creek--two months of swimming, popsicles, and brushing up on her journalism skills for the school paper. But when two inmates break out of the town’s maximum security prison, everything changes. Doors are locked, helicopters fly over the woods, and police patrol the school grounds. Worst of all, everyone is on edge, and fear brings out the worst in some people Nora has known her whole life. Even if the inmates are caught, she worries that home might never feel the same.